An in-depth interview session of ten minutes is conducted by involving an entrepreneur and business innovator named Katie Page who has launched a new business set up. Harvey Norman is the regional electronic set up occupied the recognizable place in the market of Australia only. This entrepreneur has a dream of expanding the business in multi-national countries. The primary purpose of arranging this interview session is to evaluate whether this individual entrepreneur is capable in business innovation and management or not. With the rapid progress of globalization business process, experts have to face immense challenges in maintaining business sustainability due to high rate of competitive market (Biemans 2018). Therefore, the business experts have to know on how to render innovation in business management so that both the internal and external stakeholders tend to show their interest in working passionately towards the services. However, behind selecting this entrepreneur for interview session there is a specific reason. This individual before getting the stature of entrepreneur has working experience for 15 years in the post of operation manager. As an efficient and responsible operation manager the individual has to face immense challenges in rendering business innovation. The person has sufficient knowledge and experience in providing services by bringing innovation. On the other hand, it has also been observed that the time management and decision making skill of this individual is high. As a result, employees working under this person do not have to face challenges in delivering effective services. While talking to this person I have gained deep insight on how to create a different impression on the mind of customers by rendering service innovation. This entrepreneur is possessed with good communication skill. As a result, I did not have to face challenges in interacting with this person. I have gained knowledge about the actual concept of managing innovation and its importance. I have gained knowledge that innovation in management is actually a form of business strategy with the help of which business design is made with creative ideas so that the organization can achieve competitive advantages. With the current market trends and demands the business experts have to change their strategies to meet customers’ needs. Therefore, business innovation is the only way of getting customers’ attention in the global market. After being associated with a business industry this individual has decided to launch own entrepreneurship. As a result, the person does not have to face immense market threats in establishing the entire process of business. On the other hand, I have gained knowledge on how to make risk analysis every time before rendering business innovation. It is however undeniable that the innovative model or strategy brought within services may not be acceptable for large number of customers. If they deny reciprocating on the current market strategies and policies the business experts would have to face challenges in maintaining business image and reputation. Therefore, in the interview session, the entrepreneur has given me an in-depth overview on how to make effective risk analysis. Based on the discussion with this entrepreneur I got to know that this individual is highly concerned in rendering innovation within management only. I personally believe that organization should be concerned in making innovation within product and services both. In this specific area I do differ with this entrepreneur whom I have interviewed. I believe in product innovation strategy as well. Customers are from various cultural backgrounds and psychological attitudes. In this kind of situation, I would have to be concerned about the fact that products should meet customers’ needs and demands. In order to render product innovation within business services the business experts should make in-depth research analysis about the current market demands of the customers. Based on that market demand, innovation on business management and products should be rendered. While starting a new business venture I would like to advice this individual that change management or service innovation is important for maintaining business sustainability. At the same time, the business experts should not forget the fact that product innovation and product diversification is also very important for achieving the peak of success. People belonging to various geographical backgrounds and attitudes have to face challenges in purchasing products due to the lack of diversity. As a result, the number of target customers becomes same. In order to overcome this kind of situation I would like to advice this individual that product diversification is equally significant in expanding business in the multinational countries. As a result, both the service providers and the service users would equally get benefits and facilities. At the same time, the business organization would be able to expand their entire process of business in the global market. Automatically the number of target customers will be increased and they will create brand awareness through word of mouth. As per gathered data and experience I got to know that innovation capability is process based on which a business firm enables to deliver products and services with high quality by rendering innovation on technology or services. As per my past experience I have observed that business experts before adopting innovation capability have to face immense challenges due to the lack of proper technological capability and resources. While rendering product innovation, the business experts should have in-depth knowledge whether the resource will support the firm for bringing innovation or not. I have personally observed that a business organization can deliver effective services and innovative products only when the financial, technological and human resources of an organization supports. In this kind of situation, I have observed that only experience and efficiency of not enough to bring innovation capability within business. The business experts should have sufficient workforce strengths as well as economic strengths. I have however observed that as per my past experience, technological capabilities enhance market demand of an organization. Technological capabilities include online service methods, digital operation process within business and online media promotion and so on (Trevino and Nelson 2016). While gathering data on innovation capability I have observed that innumerable business entrepreneurs have decided to render e-commerce business process within services. As a result, customers belonging to remote areas can also access the services. I have also observed that customers by sitting at their own place can track the shipping process from their mobile application. As a result, the indirect communication between the service providers and service users becomes very much transparent (Antikainen and Valkokari 2016). In addition, the emergence of GPS technology is effective enough in providing a proper direction to the delivery executives about customers’ destination. Consequently, the customer can place the order by sitting at their own workplace. The entire process of service has become very much systematic and low time to consume (Schaltegger and Wagner 2017). As a result, people belonging to other geographic location can also use the products and services. I personally believe that innovation in technology immensely enhances the business capability of an organization. I have acquired knowledge that development capability is also considered as a major part of business innovation. Development can be made from the perspective of both product and business services (Carayannis, Sindakis and Walter 2015). Rendering fashionable products with innovative designs and configuration is one form of business innovation capabilities. By investing sufficient amount of money within services the business experts tends to render service innovation. With the help of increasing value of customers the business experts render incremental innovation (Rayna and Striukova 2016). While delivering the services the executives tend to gather an immediate feedback from the customers regarding their satisfaction level about delivery method. This particular method is very much innovative and helps the service providers in understating their flaws and way of improvement. On the other hand, disruptive innovation involves that advancement of technology should be incorporated within services (Jansen 2017). As a result, both the customers and the service providers can be equally impressed. I have also observed that customers by sitting at their own place can track the shipping process from their mobile application. As a result, the indirect communication between the service providers and service users becomes very much effective and communicative (Schaltegger, Lüdeke-Freund and Hansen 2016). Naturally, people belonging to other geographic location can also use the products and services. I personally believe that innovation in technology immensely enhances the business capability of an organization. By investing sufficient amount of money within services the business experts tends to render service innovation (Scuotto et al. 2017). Management capability is also one of the most significant parts of rendering innovation on services (Harhoff and Lakhani 2016). I have collected data that large number of organizations fails to meet organizational objectives due to the lack of management capability. Managers need to be accustomed with innovation by implementing big data and business intelligence within services (Allen, Adomdza and Meyer 2015). I have also gained knowledge that most of the business organizations are using global accounting standards within their business process in order to involve the foreign investors within services. As a result, the organizational does not have to face any kind of monetary crisis towards the business services (Souto 2015). In order to implement big data the managers would be able to calculate financial profit and loss of the organization. At the same time, the managers are capable enough of evaluating chronological financial database. Automatically, the organization would be able to evaluate their market condition in comparison to its other competitors (Nylén and Holmström 2015). After gathering and evaluating data regarding innovation capability I can opine that innovation should not be restricted within specific areas of business. In order to gain competitive advantages the organization needs to improve their service innovation in every specific sphere. While analyzing innovation capabilities I have identified some of the major areas as well based on which areas can be developed. However, after identifying the weakness I have developed a plan in SMART framework in quest of improving the plan and business opportunity. The managers would have to receive training and development session. By rendering product innovation and service innovation strategy the business experts would have to increase their economic strength. As a result, the customers would not have to face challenges in maintaining effective innovation strategy. In order to render product diversification the research and development team would have to focus on getting an effective feedback from customers for knowing their needs and demands. The entire developmental initiative will be conducted within 2 years so that company can expand their entire process of business in multinational countries. At the same time, the organization would be able to achieve success. While making the framework regarding the ways of improvement on innovation capability I have observed that managers are not well accustomed with the advancement of technology. In this kind of situation, they have to face immense challenges in getting accustomed in operating advanced technology. In this kind of situation, the organizational experts would have to receive effective training and development session within six months as a result of which customers do not have to wait for a long time in receiving the services (Foss and Saebi 2015). On the other hand, I have also observed that the business experts would have to gain organizational profitability. As a result, both the customers and the service providers would get equal facilities and benefits. By rendering product innovation and service innovation strategy the business experts would have to increase their economic strength (Soto-Acosta, Popa and Palacios-Marqués 2016). As a result, the customers would not have to face challenges in maintaining effective innovation strategy. I have observed that the entire method of innovation capability is very much time-consuming. The business experts would have to face immense challenges in being accustomed with the technological capabilities. Therefore, it is expected that the entire developmental initiative will be conducted within two years so that company can expand their entire process of business in multinational countries (Hovhannisyan and Keller 2015). However, this very specific study has critically identified some of the major areas of strengths and weakness that the business organizations development face while implementing innovation capability. I have gathered data and information from my previous knowledge, past experience and from the feedback of different entrepreneurs. Therefore, based on that particular data I have gathered in-depth information regarding the importance of innovation capabilities and the various pros and cons that the organizations have to face while implementing this strategy. Business innovation models are used within business process so that organization can create a different impression on the overall organizational structure. Linear model implies that business sequential phase starts from the invention and ends at diffusion (Osiyevskyy and Dewald 2015). Every product or service method is possessed with incline to the phase of decline. After launching a new product in the market the business experts get the opportunity of introducing the product in front of customers in quest of creating a market demand (Kim and Min 2015). In this kind of situation, people automatically show their interest in purchasing products and services. After facing this particular phase, the organization automatically has to deal with some of the major competitors (Velu 2015). After receiving new market threats the product faces its diffusion phase. Flexible innovation business model is the combination of both linear and non-linear model. In this very specific business innovation model the products and services do not follow a particular linear phase (Kim and Min 2015). Based on the market craze and the economic condition of the company products can face different situations. For an example, if the market demand of the product is high the business experts gain business success. If the market demand of the product is unable to raise customers’ attention the entire process of business has to face turmoil in creating brand image (Ferreira et al. 2015). In this situation, the business experts have to change their organizational strategy and policy in order to gain competitors’ market demand. However, as per the concept of flexible innovation business model, organizations have to go through different phases of business environment. In addition, the needs and demands of the employees changes as per the current market trends (Sund et al. 2016). In this kind of situation, flexible business model implies that business experts have to change managerial policies and strategies as per the current market demands. Business model should not follow a linear process. The strategy should be innovative and changeable based on which customers’ needs and demands can be fulfilled (Winterhalter, Zeschky and Gassmann 2016). Collaborative innovation is an inventory strategy that enables the business experts in following transformational innovation strategy (Hossain 2015). As per business environment the organizational experts changes strategies so that customers’ needs and demands can be fulfilled. For an example, The Iconic Australia was primarily famous for fashionable retail brands which occupy a prestigious place in the market of Australia. In such a country the business experts intended to follow high pricing strategy (Freel 2016). However, it has been observed that high price strategy is not effective enough in drawing the attention of large number of customers. In quest of enhancing the number of target customers the business experts have decided to follow low cost pricing strategy (Spieth, Schneckenberg and Matzler 2016). As a result, both premium customers and average cost customers can use the products equally. The number of target audience will be increased automatically. If the market demand of the product is unable to raise customers’ attention the entire process of business has to face turmoil in creating brand image (Cortimiglia, Ghezzi and Frank 2016). In this situation, the business experts have to change their organizational strategy and policy in order to gain competitors’ market demand. However, there is an inseparable relation between flexible innovation model and collaborative innovation (Kew and Stredwick 2017). At the same time, it is also undeniable that both the two forms of business innovation model differ from each other to its contexts, views and thoughts. Flexible innovation model is the combination of linear and non-linear. Based on business environment, the business expert switches one model innovation to another. On the other hand, collaborative business model is completely based on business environment and situation (Altuna et al. 2015). With the help of an effective collaborative business model the organizational experts can transform their innovation strategy with communicating with the employees. As a result, there is a positive response and cooperation from the end of customers as well. Total three kinds of business innovation model is critically discussed in this very specific study. Bresciani and Ferraris (2016) stated that three models are evaluated from different business context. For this specific entrepreneur who has been interviewed in this study collaborative business innovation is highly appropriate for several reasons. As already discussed collaborative innovation is an inventory strategy that enables the business experts in following transformational innovation strategy (Ebel, Bretschneider and Leimeister 2016). As per business environment the organizational experts changes strategies so that customers’ needs and demands can be fulfilled. Based on the market craze and the economic condition of the company products can face different situations (Lowe and Brown 2016). It is undeniable that the business experts have to change their organizational strategy and policy in order to gain competitors’ market demand. However, as per the concept of flexible innovation business model, organizations have to go through different phases of business environment. Brulin and Svensson (2016) opined that the strategy is highly innovative and changeable based on which customers’ needs and demands can be fulfilled. Biemans (2018) stated that collaborative business model is transformational and ever changeable. The business experts can get the opportunity of transforming their services at any time. As per the business structure of this entrepreneur it is observed that collaborative business innovation enables he entrepreneurs in dealing with employees appropriately before rendering a change or innovation within strategy. Antikainen and Valkokari (2016) opined that the person has sufficient knowledge and experience in providing services by bringing innovation. On the other hand, it has also been observed that the time management and decision making skill of this individual is high. With the current market trends and demands the business experts have to change their strategies to meet customers’ needs. As per the opinion of Schaltegger and Wagner (2017), collaborative business innovation is the only way of getting customers’ attention in the global market. After being associated with a business industry this individual has decided to launch own entrepreneurship. In order to render product innovation within business services the business experts should make in-depth research analysis about the current market demands of the customers (Osiyevskyy and Dewald 2015). It has also been observed that after making an in-depth interview Katie Page is the believer of collaborative work rather than individual performances (Carayannis, Sindakis and Walter 2015). In this kind of situation, it is highly appreciated that before making innovation within business the entrepreneur would like to communicate with the employees in order to know their opinion (Foss and Saebi 2015). This particular individual believes that employee performance is highly important in providing good services to the customers. Therefore, before changing a particular business strategy and policy Katie Page would like to make a strategic business decision by involving the employees. As a result, employees get the opportunity in sharing their views and thought. As a result, both the employees and the employers can share a good rapport with each other (Soto-Acosta, Popa and Palacios-Marqués 2016). Therefore collaborative innovation is highly appropriate for running the organization like Harvey Norman. Most of the eminent scholars have shared their point of view that collaborative business innovation is not always effective for achieving the success of business (Nylén and Holmström 2015). Rayna and Striukova (2016) opined that every product or service method is possessed with incline to the phase of decline. After launching a new product in the market the business experts get the opportunity of introducing the product in front of customers in quest of creating a market demand. As emphasized by Jansen (2017), collaborative business decision enables the employees in taking their own decision regarding the services. As a result, employees belonging to various psychological backgrounds and attitudes intend provide their own opinion. In this kind of situation, business managers have to face challenges in taking their own decision due to the opinion of various psychological backgrounds (Schaltegger, Lüdeke-Freund and Hansen 2016). I have also observed that customers by sitting at their own place can track the shipping process from their mobile application. As a result, the indirect communication between the service providers and service users becomes very much transparent (Harhoff and Lakhani 2016). I have personally observed that a business organization can deliver effective services and innovative products only when the financial, technological and human resources of an organization supports. While delivering the services the executives tend to gather an immediate feedback from the customers regarding their satisfaction level about delivery method. I personally believe that innovation in technology immensely enhances the business capability of an organization. Katie Page would have to render product innovation by taking immediate business decision. Allen, Adomdza and Meyer (2015) stated that depending on the employees’ decision is not always helpful in running the entire process of business effectively. 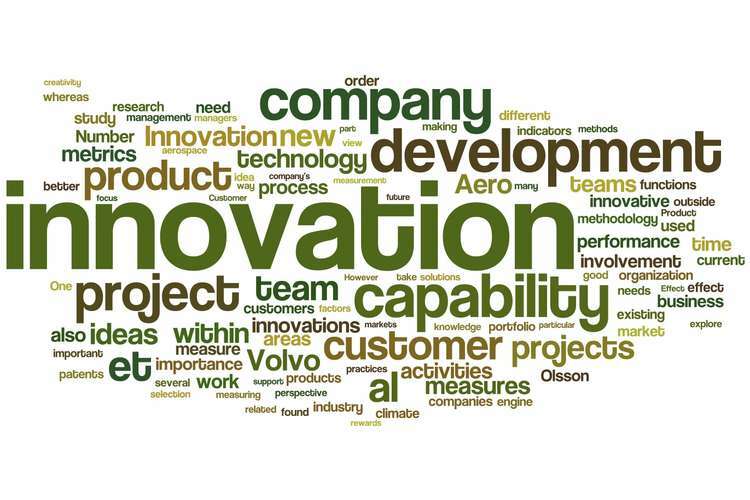 However, despite having immense arguments and critical analysis regarding appropriate business innovation model it can be concluded that collaborative innovation is very much effective and advanced with the help of which employees and employers get the opportunity in taking business decision equally (Souto 2015). As a result, they also tend to show their interest in providing their best services towards the business success. In addition, an effective interpersonal communication is made between employers and employees. 1. Allen, M.R., Adomdza, G.K. and Meyer, M.H., 2015. Managing for innovation: Managerial control and employee level outcomes. Journal of Business Research, 68(2), pp.371-379. 2. Altuna, N., Contri, A.M., Dell'Era, C., Frattini, F. and Maccarrone, P., 2015. Managing social innovation in for-profit organizations: the case of Intesa Sanpaolo. European Journal of Innovation Management, 18(2), pp.258-280. 3. Antikainen, M. and Valkokari, K., 2016. A framework for sustainable circular business model innovation. Technology Innovation Management Review, 6(7). 4. Biemans, W., 2018. Managing innovation within networks. Routledge. 5. Bresciani, S. and Ferraris, A., 2016. Innovation-receiving subsidiaries and dual embeddedness: impact on business performance. Baltic Journal of Management, 11(1), pp.108-130. 6. Brulin, G. and Svensson, L., 2016. Managing sustainable development programmes: A learning approach to change. Routledge. 7. Carayannis, E.G., Sindakis, S. and Walter, C., 2015. Business model innovation as lever of organizational sustainability. The Journal of Technology Transfer, 40(1), pp.85-104. 8. Cortimiglia, M.N., Ghezzi, A. and Frank, A.G., 2016. Business model innovation and strategy making nexus: evidence from a cross?industry mixed?methods study. R&D Management, 46(3), pp.414-432. 9. Ebel, P., Bretschneider, U. and Leimeister, J.M., 2016. Leveraging virtual business model innovation: a framework for designing business model development tools. Information Systems Journal, 26(5), pp.519-550. 10. Ferreira, J.J., Fernandes, C.I., Alves, H. and Raposo, M.L., 2015. Drivers of innovation strategies: testing the Tidd and Bessant (2009) model. Journal of Business Research, 68(7), pp.1395-1403. 11. Foss, N.J. and Saebi, T. eds., 2015. Business model innovation: The organizational dimension. OUP Oxford. 12. Freel, M., 2016. Knowledge-intensive business services: geography and innovation. Routledge. 13. Harhoff, D. and Lakhani, K.R. eds., 2016. Revolutionizing innovation: Users, communities, and open innovation. MIT Press. 14. Hossain, M., 2015. A review of literature on open innovation in small and medium-sized enterprises. Journal of Global Entrepreneurship Research, 5(1), p.6. 15. Hovhannisyan, N. and Keller, W., 2015. International business travel: an engine of innovation?. Journal of Economic Growth, 20(1), pp.75-104. 16. Jansen, W., 2017. New business models for the knowledge economy. Routledge. 17. Kew, J. and Stredwick, J., 2017. Business environment: managing in a strategic context. Kogan Page Publishers. 18. Kim, S.K. and Min, S., 2015. Business model innovation performance: When does adding a new business model benefit an incumbent?. Strategic Entrepreneurship Journal, 9(1), pp.34-57. 19. Lowe, G.F. and Brown, C., 2016. Managing media firms and industries. What’s so special about media management. 20. Nylén, D. and Holmström, J., 2015. Digital innovation strategy: A framework for diagnosing and improving digital product and service innovation. Business Horizons, 58(1), pp.57-67. 21. Osiyevskyy, O. and Dewald, J., 2015. Explorative versus exploitative business model change: the cognitive antecedents of firm?level responses to disruptive innovation. Strategic Entrepreneurship Journal, 9(1), pp.58-78. 23. Schaltegger, S. and Wagner, M., 2017. Managing the business case for sustainability: The integration of social, environmental and economic performance. Routledge. 24. Schaltegger, S., Lüdeke-Freund, F. and Hansen, E.G., 2016. Business models for sustainability: A co-evolutionary analysis of sustainable entrepreneurship, innovation, and transformation. Organization & Environment, 29(3), pp.264-289. 25. Scuotto, V., Santoro, G., Bresciani, S. and Del Giudice, M., 2017. Shifting intra?and inter?organizational innovation processes towards digital business: an empirical analysis of SMEs. Creativity and Innovation Management, 26(3), pp.247-255. 27. Souto, J.E., 2015. Business model innovation and business concept innovation as the context of incremental innovation and radical innovation. Tourism Management, 51, pp.142-155. 28. Spieth, P., Schneckenberg, D. and Matzler, K., 2016. Exploring the linkage between the business model (&) innovation and the strategy of the firm. R&D Management, 46(3), pp.403-413. 29. Sund, K.J., Bogers, M., Villarroel, J.A. and Foss, N., 2016. Managing tensions between new and existing business models. MIT Sloan Management Review, 57(4), p.8. 30. Trevino, L.K. and Nelson, K.A., 2016. Managing business ethics: Straight talk about how to do it right. John Wiley & Sons. 31. Velu, C., 2015. Business model innovation and third-party alliance on the survival of new firms. Technovation, 35, pp.1-11.